The biggest e-commerce market giant is in Australia. It is making more news than ever. Amazon Australia that launched with 1850 sellers is already a buzzing with activity and is expected to rise to tens and thousands of sellers like the other Amazon marketplaces. his article gives brief about selling on Amazon Australia. 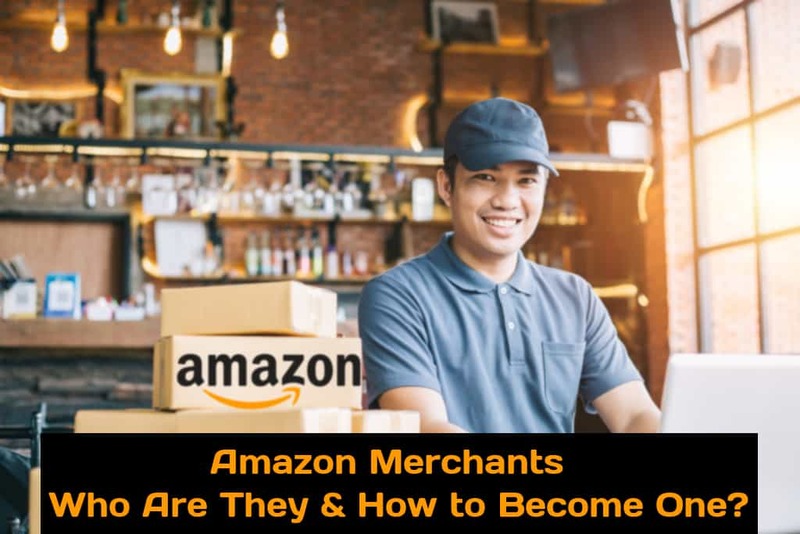 One of the first choices you need to make is whether or not to become an Amazon individual seller or a professional seller on Amazon. So, how to selling on Amazon Australia Seller Central? If you are someone who is perplexed by the same question, then you are not alone because most retailers have the same confusion as you do. To help you comprehend the entire procedure better, here is a perfect and comprehensive guide to read through. Like the U.S. version of Amazon, the version of Amazon in Australia is called Amazon Australia. With more than 350 million users (active) in 190+ countries, Amazon has grown as a brand for displaying the best products at cheap prices and faster shipping. Ever since Amazon has entered into the Australian zone, it is surely going to have a huge influence on Australia’s retail market. As far as the statistics are concerned, about 47% of the sales that are generated online, is solely through Amazon. This figure is sure is an eye-opener because this data shows that customers now prefer the convenience of online shopping but mostly through a trustable brand. Talking about Australians in specific, they have so far spent over $620 million on Amazon just in the United States. 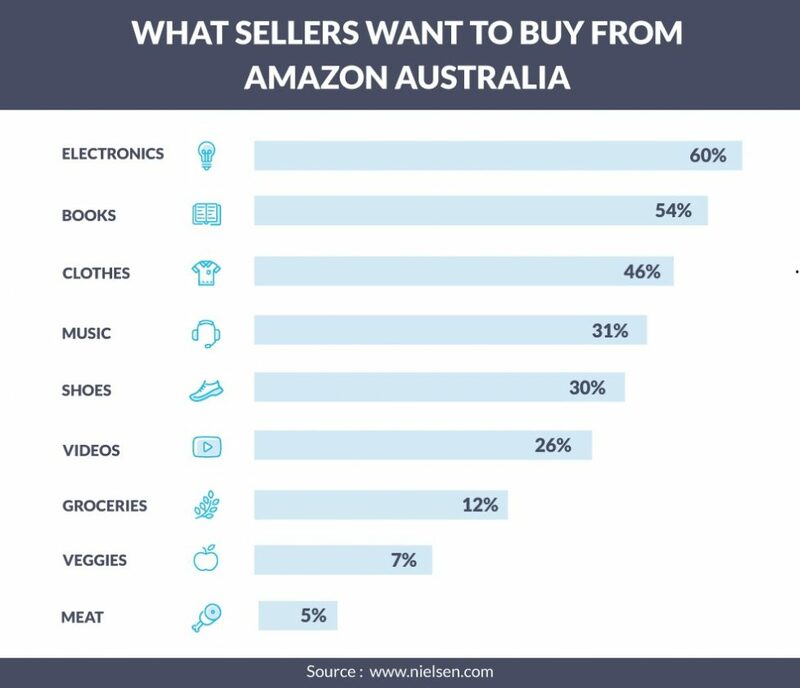 In addition, survey reports that 3 out of 4 Australians are “more interested“ in buying from Amazon Australia than any other e-commerce retailer. Since Amazon for the Australian market has already been launched, it is a great chance for sellers to explore their marketplace. Why Did Amazon Choose To Expand In Australia? Based on the revenues, Amazon is one of the top ten retailers in the global world. Its immense size and profits are two primary reasons to expand themselves in Australia. Frankly, a majority of the Australian retailers will face a tough time competing for this scale. There is even news that Alibaba might establish in the Australian zone and give a strong competition to Amazon. However, there is no such official statement yet. As far as the Australian e-commerce industry is concerned, it is not only growing quickly but also has a strong economy with higher Internet penetration. Research shows that in 2017, Australia made a total e-commerce sale of $32 billion, featuring it in the top 10 global e-commerce markets. About 67% of Australians shop online and they reportedly need a marketplace like Amazon. This potentially makes Australia a striking region for Amazon to launch at. Even if Amazon manages to capture at least a share of 20% in the Australian e-commerce marketplace, it can easily generate revenue of approximately $7 billion solely from this region. Since Australia is an incredible market, especially for e-commerce, Amazon can generate some good incremental revenues. Why Is It The Right Time To Start In Amazon Australia Now? Since July 2016, monthly searches for Amazon-based queries inclined by 93%, which truly is a tremendous growth. Earlier, it was 5,205 searches but in March 2017, the search variations increased to about 10,487. How to buy from Amazon? How to send to Australia? How to start selling on Amazon Australia? How to buy from Amazon Australia? As far as the search phrases for March 2018 is considered, it is evident that the Australian customers are trying to associate with Amazon while “Prime“ being the most popular and 2nd most searched term. 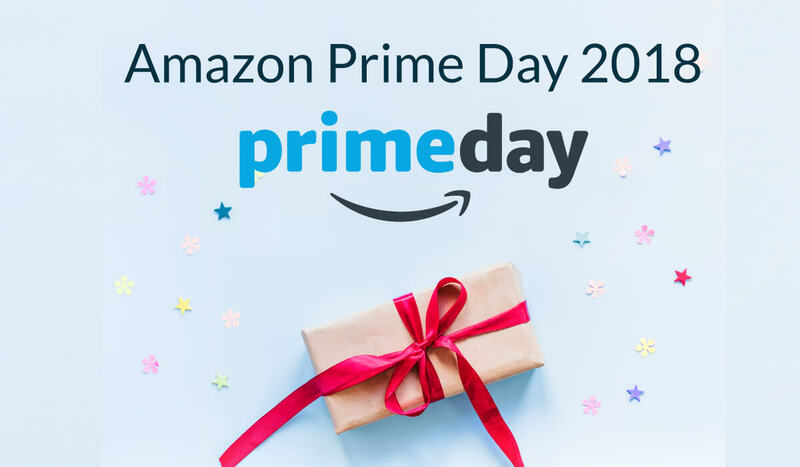 Amazon Prime is much more than just “retail membership“ – it is a combination of free shipping, first choice, high priority, discounts, audible books, multimedia access, photo storage, gaming, etc. 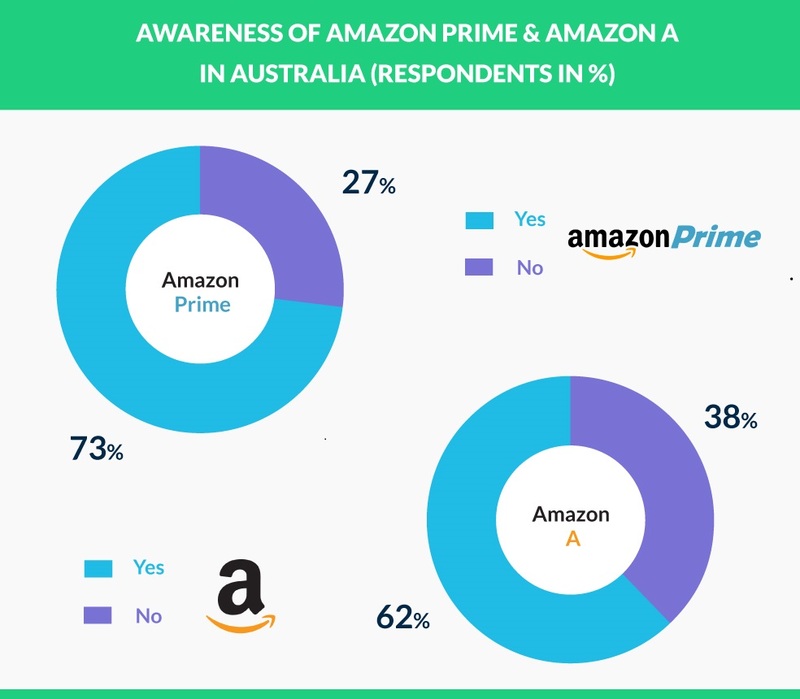 According to the recent customer survey done by Australia’s Commonwealth Bank, about 70% of its respondents are more likely to purchase from Amazon. On the other hand, eMarketer has estimated that the Australian e-commerce retail sales will reach about $20.15 billion in 2018 and the figure will incline by 9.7% at $28.91 billion by the year 2021. 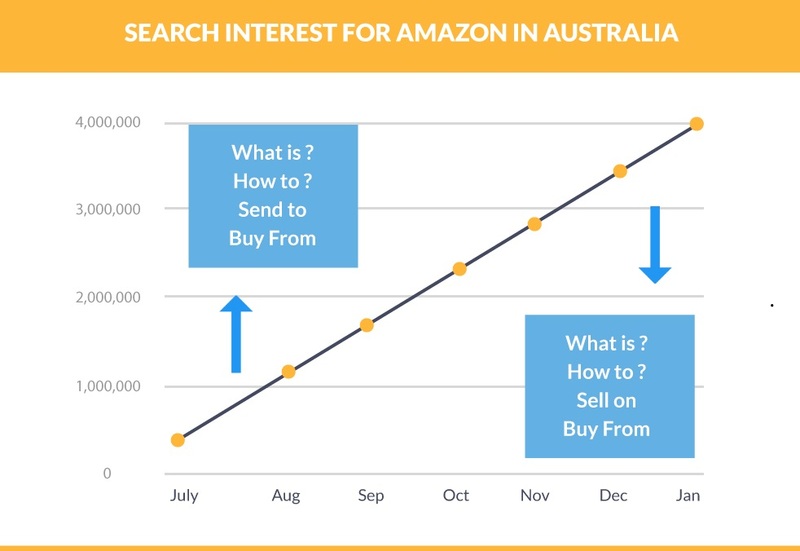 The interest of Amazon-based searches has been outside Australia as well. 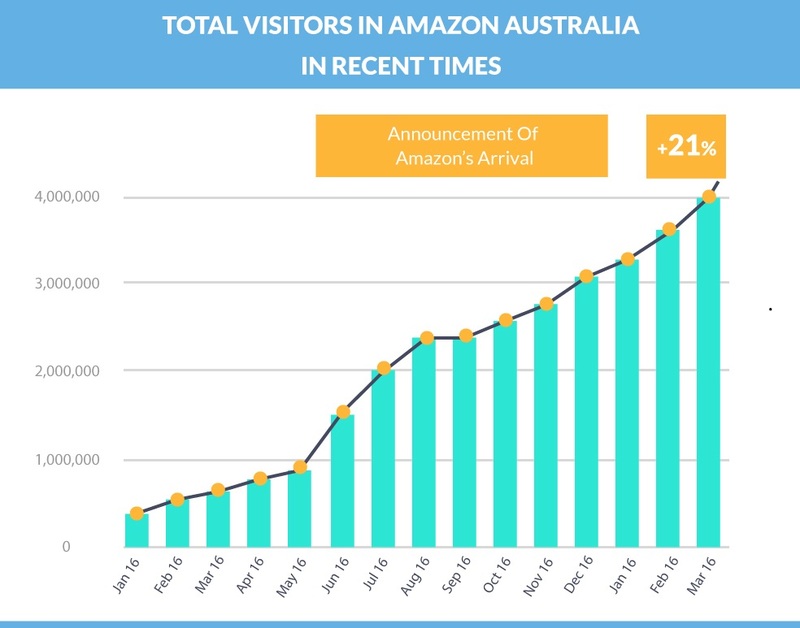 After the site’s launch, visitors to amazon.com.au have drastically increased. According to the stats, the search phrases have been inclined by 21% from March 2016 and the traffic peaked upon the announcement of Amazon’s arrival in November. The most interesting part is that even though Amazon has launched its Australian version, people have earlier and still continue to search on the Amazon US website. In fact, the traffic from Australia for the US Amazon is five times more than the Australian version. 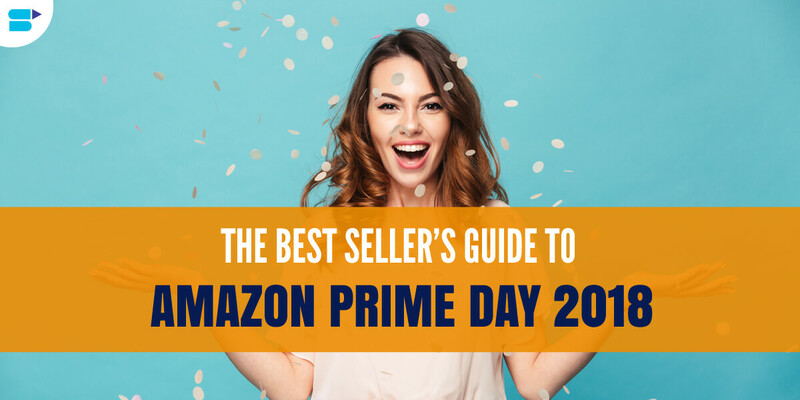 Now that you know it is the best time to start selling on Amazon, let’s get into the deeper details of how to start off and what are the best products to start of with. 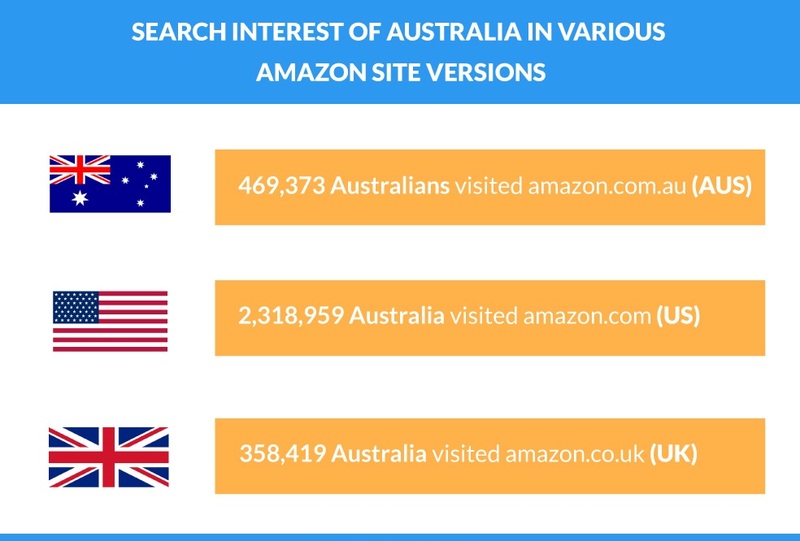 Individuals who visit Australian version of the Amazon website differ slightly from the ones who visit the US version. While the age groups are pretty much the same, the younger audience still dominates it. Nevertheless, there are more women on the AU website than the US website. Can I also sell In the US via Amazon Australia? Yes. It is 100% possible to do this. In fact, you can sell in any of the Amazon marketplaces by simply registering and creating a professional seller account. If you generate sales, you get paid in the respective country’s currency you have the account for and are credited to your bank account directly. 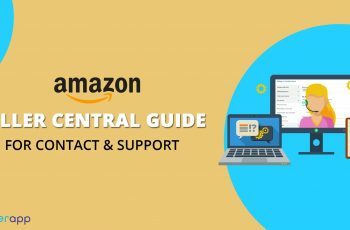 You can use the Amazon Seller Central for managing all the aspects of a product. Be it inventory updates, seller account, adding product details, managing payments, and managing orders, Seller Central is where you perform everything. 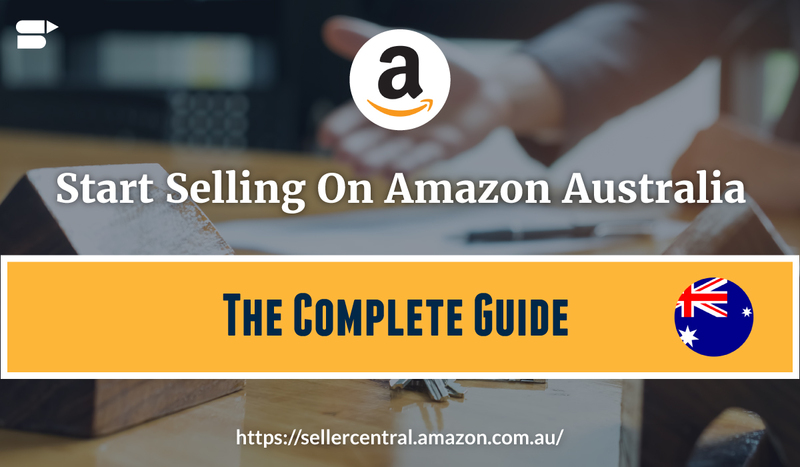 How To Start Selling On Amazon Australia Seller Central? Step 2: Complete the seller profile with correct details. Step 4: Start listing your amazon products. Optimize them properly and start selling. What Is The Cost To Sell On Amazon Australia? A commission of 6-15% for every sale that is generated via Amazon. However, this also depends on the product type the seller is selling on Amazon Australia. A fee of 49.95 AUD with GST for third-party sellers willing to list the products on Amazon. What To Prepare Before Selling On Amazon Australia? With an incredible and user-friendly interface, it hardly takes a few minutes to sign-up and opens a seller account on Amazon but the game begins only after you open one. Within 30 days, the first month’s account charge will be billed and as a seller, you should be meeting all the Amazon’s metrics right from day 1. Therefore, don’t be in a hurry to create the account when you haven’t understood everything about it. It is important to first prepare the necessary document details and plan for your everyday operations for the business. Email address: It is the official email ID through which Amazon notifies you about some essential information regarding the account. Therefore, this has to be created prior to the registration process begins. Phone Number: Amazon requires a valid phone number to contact you with. Ensure that this phone is available because you might receive a call from them while signing-up. Company Details: Amazon will need your business name (has to be legally registered), company address, and correct contact details. Credit Card Information: This is highly important because if you do not have a valid credit card number, then Amazon will immediately terminate your registration. Make sure that the card is internationally chargeable. Tax ID: It can be your business’s tax identification number or your SSN (Social Security Number). What To Sell On Amazon Australia? What do you choose to sell to improve your business? How wise are you in choosing the products that can increase the sales? Say, for instance, you are trying to sell something that doesn’t give you much profit or is something that cannot be sold at a bigger market, then you certainly wasting your money and time. On the other hand, if you are trying to sell something in a category that is highly competitive, then you won’t will a hard time to compete with other potential sellers. The key is to do a deep research before becoming a seller on Amazon. Check what the Australian customers are demanding. Understand the data that Amazon provides, as this information will not only give you a complete insight but also predict and project which category or product is more possibly to bring profits to your business. Home Improvement: These include building supplies, kitchen fixtures, bath fixtures, hardware, and lighting. Remember that the shipping cost increases with heavy times. So, choose something that is light and small. Baby Products: From baby toys, wigs to furniture and nursery decorations, everything goes incredibly well on Amazon. They come at a reasonable price and are things that are needed for the entire year. However, stay away from choosing baby wipes, diapers, and other bathing accessories because people tend to get them branded. School and Office Supplies: These are always in demand and are easy to manage. However, you need to make huge sales to get that profit margin you desire. Outdoor and Sports Equipment: Pick the lightest items in this category so that shipping wouldn’t cost you much. You can prefer flashlights, lanterns, backpacks, tent accessories, and so on. Avoid footwear and clothing because a majority of Australians prefer buying from quality brands. What Do Australian Online Customers Shopping Behavior Reveal? 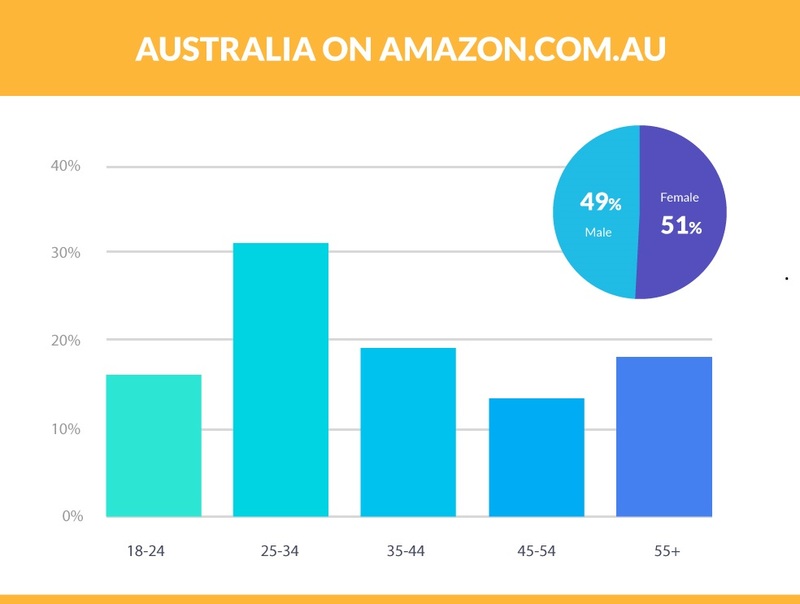 More than 50% of Australian customers above the age 14 purchase their products online. More than 25% of Australian customers purchase electronic gadgets, especially mobile phones online every month. The age bracket of these online customers is between the groups 35-44 and 25-34. Is There FBA (Fulfilled By Amazon) In Australia? Amazon came to limelight as soon as it made plans to enter the Australian market. 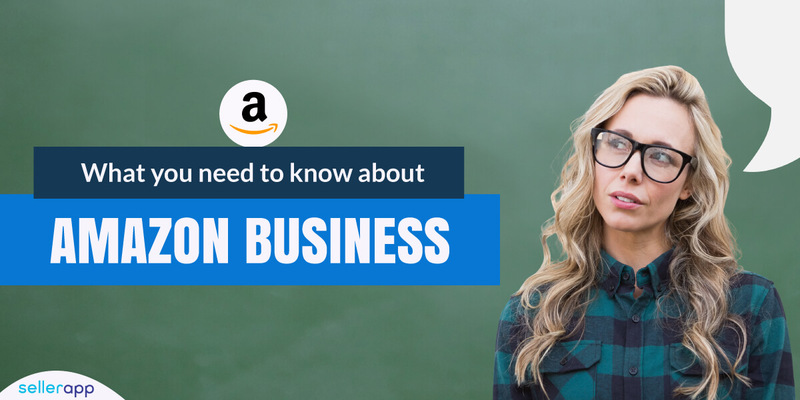 Whether you think that your business is going to thrive or suffer from the Amazon’s arrival, the ideal thing to do is to understand what actually selling on Amazon Australia necessitates. The fully-fledged version of Amazon.com.au turned live on 5 December 2017 and gave the Australians a peek of what the website exactly looks like. Since 2013, the site hosted only a Kindle store but now the Australian customers can buy more than eBooks. The Amazon Australia was launched with exactly 23 categories like DVDs, electronic gadgets, software, PC, clothing, beauty products, baby products, etc. With corporate offices set up in Sydney, Canberra, Brisbane, Perth, and Melbourne whereas inventory set outside Melbourne, the company is prepared to create millions of jobs in Australia over the years. The main objective of Amazon is to attract shoppers and sellers to its Australian website by offering the fulfillment service access to various third-party traders. On 27 February 2018, Australian sellers were able to send their items to the Amazon Melbourne Fulfillment Center and allow the products to be stored, picked, packed, and shipped for delivery to their customers. The FBA in Australia was launched in less than 3 months after this giant e-retailer revealed its new set of retail services and products with a confidence of expanding its plan in the Australian logistics. 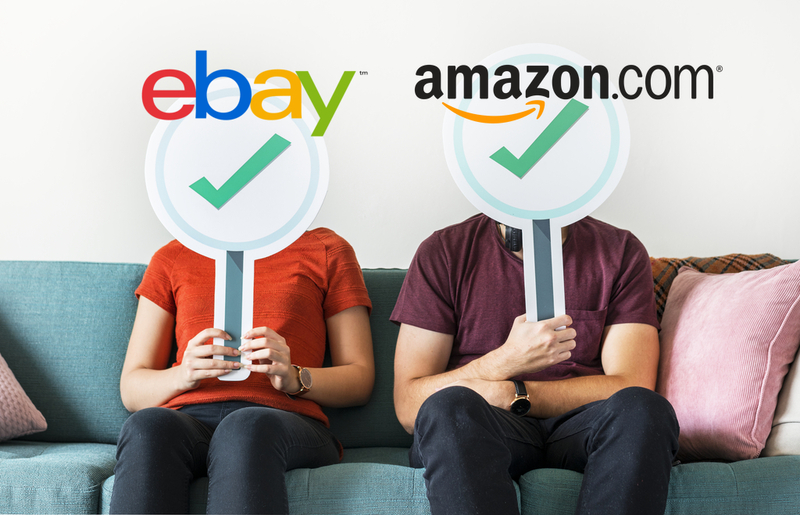 With FBA being launched in Australia, sellers will now be able to reach a wide range of customers trying to look for products in various categories and ship the products much faster than other third-party providers. Consumers who are having their products shipped via FBA will not only be eligible for Amazon customer support but also include free delivery on orders that exceed $49(Australian Dollars). Moreover, there will be expedited 1 – 2 days deliveries from selected regions. On the other hand, products that are shipped via FBA will qualify for Amazon Prime subscription-based service for faster shipping. However, this will be launched anytime sooner in this year. Although Australians have been shopping on the Amazon international sites for years, the company’s idea to set up a huge distribution warehouse outside Melbourne is a brilliant hit. Deciding to launch FBA, especially in one of the biggest global economies isn’t that easy as it sounds. But a brand like Amazon has confidence in the Australian post because so far, it has met their shipping time estimations in some of the farthest parts of Australia. What Not To Do While Selling On Amazon Australia? 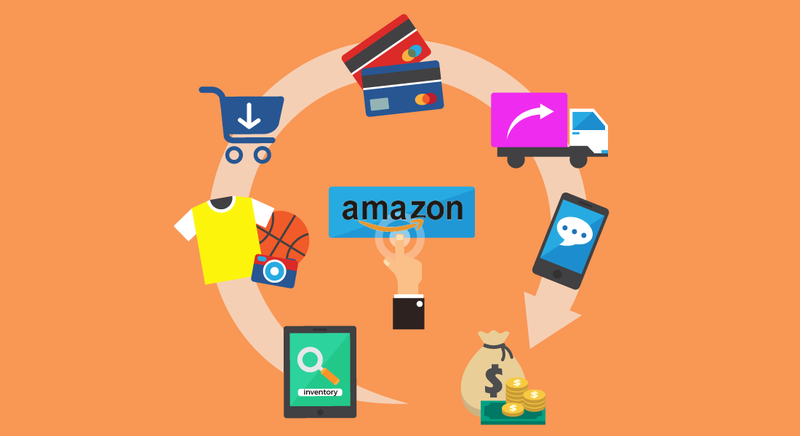 What Mistakes To Avoid While Selling On Amazon? With a market capitalization of more than $400 billion, which exceeds the combined market cap of well-known retailers like Target, WalMart, Nordstrom, Macy’s, Best Buy, JCPenny, Sears, and Kohls. While many traditional retailers ostensibly struggle, Amazon still is reported to grow continuously. No wonder, selling on Amazon isn’t that simple as it sounds. It is competitive and as a seller, you have to be smart enough in outranking your competitors and not hurt your sales. Considering this, here are five mistakes to avoid. These may a little common but are truly important and something that most sellers tend to do. One of the vital components of a product is its “inventory.“ Customers should know if a product is available for purchase and is in stock or not. Even if it is in low stock, customers will be aware that they need to act soon before it ends. Also, managing the inventory proactively also makes sure that sellers avoid the issue of “overselling.“ There is nothing worse than acknowledging the customers that the item they just bought cannot be purchased because you actually don’t have it. This issue is something Amazon takes it very seriously. In fact, overselling can penalize your account and eventually, suspended. So, the probabilities of selling on Amazon again after that is extremely low. In fact, you won’t be able to do business with them again. Note: Stock availability is highly important for a business and is something no seller should be taking it lightly. Managing your inventory turns out to be intricate if you are selling across various channels. It is not bad to do this but the thing is to be able to maintain them. The moment you create your product listings on Amazon, its inventory quantities and price details become live instantly. Sadly, Amazon does not offer the feature of “sandbox“ to rehearse your product listing abilities. If you clearly know that you have fewer inventories or almost zero, then don’t ever do the mistake of overstating the product quantities. Most new sellers tend to do this and become highly surprised after they realize that inventories sell much quicker on Amazon. That’s why when they oversell, it turns out to be a frustrating chain effect, which eventually ends in an “Amazon Seller Central account suspension.“ You really don’t want that. Do you? Similarly, avoid putting up low prices if you are really not going to offer them at such prices because deals like that get sold too fast and as a seller, you will be losing a huge amount of dollars. Note: Every new product listing should mention the right price that is to be sold to the customers. 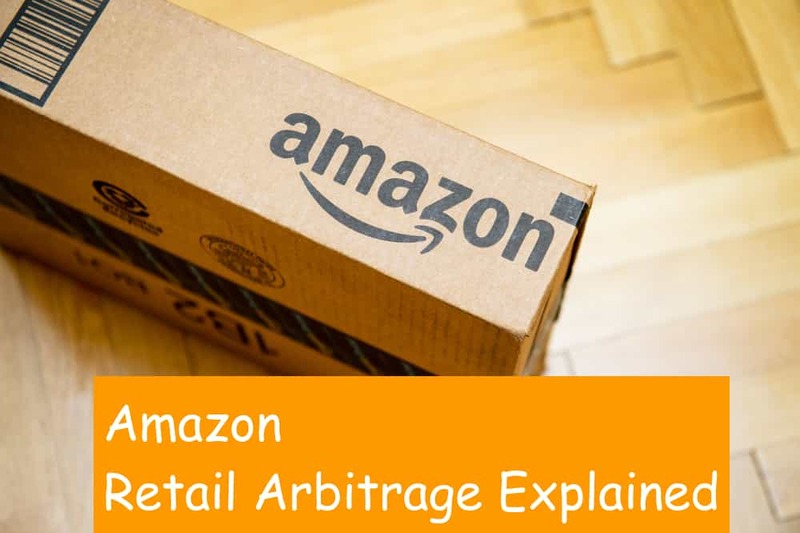 Misleading the Amazon buyers with wrong information can lead to suspension of the account. Customer feedbacks or reviews, however you call it, can go in both ways of sellers. It can be positive or negative. While stellar reviews generate higher sales, poor ones can sabotage your entire business and customers will no longer have that trust to buy again from you. But bad reviews shouldn’t stop you from making them feel satisfied. They say that “Failure is the stepping stone to success,“ and unless you don’t realize from your mistakes, your business cannot be successful. Note: Just as a coin has two sides, selling a product at any e-commerce store also calls for negative and positive sides. Therefore, bad reviews are inevitable but are not something to be panicked about. Respond to them wisely and fix them so that the trust is regained. As far as Amazon is considered, it is not new that customers buy based on the reviews that are posted. According to a survey, about 93% of customers buy a product only after reading the feedbacks given by their peers. In 2014, this count was 88% but now it has increased to 93%. Therefore, as a seller, if you are not paying a keen attention to what customers are actually saying about your product, then you honestly are doing a big mistake. If you are a new seller, then it is obvious to make a mistake. This could be anywhere from shipping an order late to not giving the option to track the consignment. What’s even worse is that some even cancel their customer orders just because the stock was unavailable. All these could easily damage your sales if you do not fix them from the initial stage. You should ensure that the first ten orders of yours are fulfilled perfectly to the customers without any trouble. The shipment should be dispatched on time with clear tracking information. 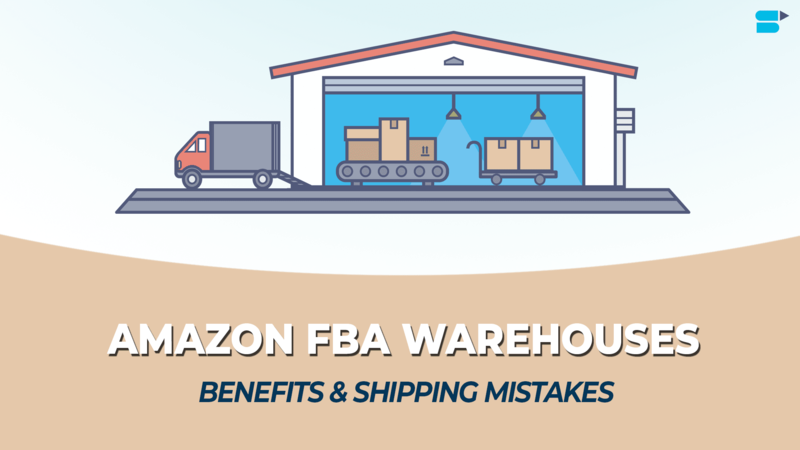 Note: If you feel that shipment is a big headache, then consider moving the entire inventory to something called FBA (Fulfilled By Amazon) but understand its policies, regulations, and other restrictions before signing up. 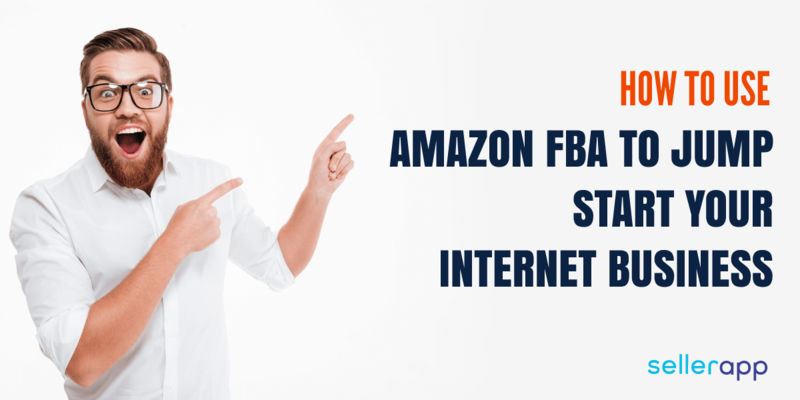 Most sellers opt for FBA because orders are sent and delivered on time along with the tracking information(Calculate Amazon Seller FBA Fees With SellerApp Amazon Seller Calculator). Undeniably, Amazon market is very competitive. In fact, there are thousands of sellers competing for the similar products of the same genre. Customers search through tons of products before making a wise buying decision. Happily, Amazon has made “product search“ extremely easy for their customers by organizing them into various categories. This is exactly where your product comes in. This search result can display thousands of products but to be able to outrank everyone and be on the top list has a lot of homework to do. It all comes down to the way you have presented your product. Is the product name clear? product description understandable? Is that price listing correct? Are all the details accurate and correct? If yes, then the chances of your product listed on the top of the search results are high. If this data is not optimized the way it should, customers are never going to know that a seller like you even exists. Note: At times, managing product data can be overwhelming, especially if you are selling multiple products online. However, if you have all the details saved in a good ERP (Enterprise Resource Planning) tool, then you can list your items just the way Amazon wants it. Yet another huge mistake sellers tend to make is by forgetting or neglecting Amazon sales taxes . This mistake is something even established and Amazon bestsellers tend to make. They realize this only after they consult their accountant that they owe a huge unfunded liability, which has to be paid from their pockets. This is something that is pointless and eats up the entire margin that you have set. Whether you are collecting your local tax or state tax for the total sales that you have made on Amazon, you will incur a tax liability. If the fee is small, Amazon gives the option of collecting your state tax on all the orders. Note: As soon as you sign-up for a seller account, make sure that the “Tax Settings“ is filled out immediately and correctly in Amazon Seller Central. Keep in mind that this should be done before making any sales. This will help you concentrate more on the productive parts of a business rather than worrying about the year-end tax issues. Last but not the least mistake that most sellers tend to do is by selling something that Amazon manufactures and sells. 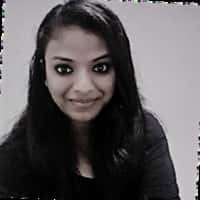 It is already difficult if you are competing with various reputed sellers on Amazon but it can turn out to be even harder if the seller is Amazon itself. There are a few products that Amazon frequently promoted and sells by itself, and you should not be selling those products because you definitely cannot compete with such huge inventory or margin levels. Note: Before you plan and decide to sell a product on Amazon, always do a research to ensure that Amazon is not selling that product. Amazon Australia: Is It Truly Worth? Australian customers have been buying products in the US and UK websites for a long time now. Even though comparatively small, customers have significantly grown in the last 6-12 months. In fact, it continues to thrive, which is truly a big concern for other Australian retailers. Although many retailers are implementing different strategies to battle against Amazon, there are still many retailers who are unaware of how and where to start. Amazon’s arrival in Australia was already a big announcement and market watchers say that it is certainly going to be one of the important shakeups the retail market has ever seen. Therefore, knowing the brand, product, its customers, and which online marketplace could generate more sales, can make a huge difference in making the business successful. Thank you for that best explanation!